Home » Sports » How Long Take to Train 5K? "I'm interested in running a 5K race. How many weeks does it take to be ready to run a 5K?" Your training time for a 5K race (3.1 miles) really depends on your current fitness level, your running experience, and your goals for the race. If you're an experienced runner who already runs a few times a week and you just want to run a 5K to evaluate your fitness level, then you could probably knock out a 5K this weekend. But someone who is basically sedentary or a runner who wants to achieve a personal best time would want to give themselves at least 6-8 weeks to prepare for a 5K. 5K Training for Beginner Runners: This eight-week training schedule is designed for beginner runners who want to run to the finish line of a 5K race. It assumes that you can already run at least one mile. Beginner 5K Training for Run-Walkers This eight-week training schedule is designed for those who can run for five minutes at a time and want to build up to running for the entire 5K race. Six-Week 5K Training Schedule: This six-week training program is geared toward beginner run/walkers who want to build up to running a 5K. If you're worried that 8 weeks is not enough time to be ready for a 5k, you may have to try to "get started with running" program before you begin one of the 5K schedules. If you have a little more running and feel like you're past the beginner stage, you could be ready for a 5K in anywhere from 4 to 8 weeks. If you're looking to improve your time from a previous 5K, you may want to give yourself 6 to 8 weeks. Plan to run at least 4-5 days a week, with 1-2 days of cross-training. 5K Training Schedule for Advanced Beginners: This eight-week schedule is geared toward runners who can run 2 miles comfortably and can run 4 to 5 days per week. You may have never run a 5K before, but you're looking for a schedule that's a little more challenging than the 5K Beginner Schedule. 5K Training Schedule for Intermediate Runners: This eight-week schedule is geared toward runners who've already run some 5Ks and are looking to achieve a personal record (PR) in the 5K. 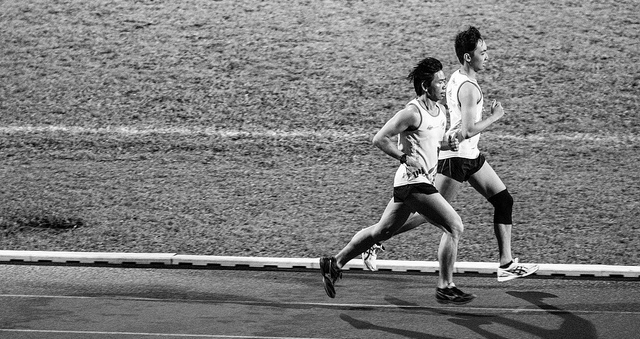 Most experienced runners who run regularly could finish a 5K any day of the week. But if you're an advanced runner and you want to run a strong 5K (maybe even a personal record), you should give yourself at least four weeks to get ready for it. You'll also want to dedicate 4 to 6 days a week to running, including one long run. 4-Week Intermediate 5K Training Schedule: This four-week schedule is for intermediate runners who currently run about 15 miles a week. 5K Training Schedule for Advanced Runners: This eight-week 5K training program is for advanced level runners. You should be running at least 4-5 days a week and are able to run at least 5 miles. This 5K training schedule is particularly useful to experienced runners who are hoping to run a personal best in the 5K. How long is a 5K? You're a new runner and you keep hearing about it. Your friends have encouraged you to sign up for one, but you're not sure how long a 5K is and if you can do it. The "K" stands for kilometer. A kilometer is 0.62 of a mile, which makes a 5K race 3.1 miles long or 16368 feet long or 5000 meters long. When you hear about races such as the Carlsbad 5000, Santa Monica 5000 or Reno 5000, you can know that it is a 5K or 3.1-mile distance event. 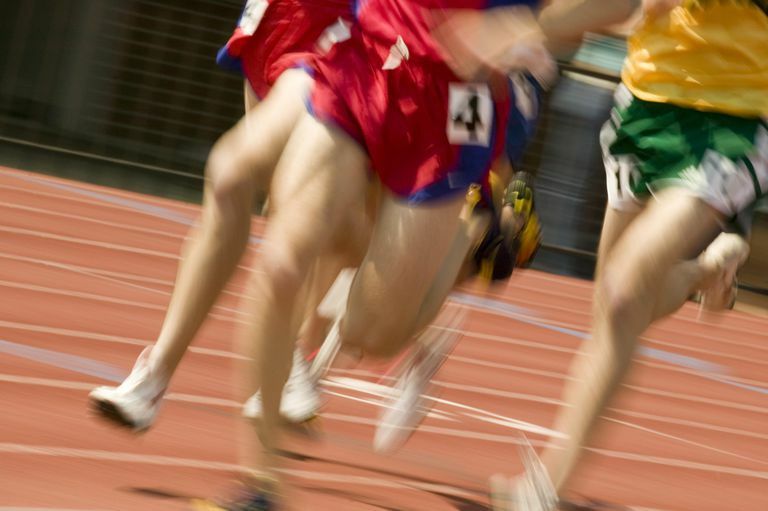 In general, 5000 meters refers to track or cross-country events while a 5K refers to road racing events. A 5K is considered the entry level distance for road racing and is the most beginner friendly choice if you're looking to break into road racing. With some training, you will be able to complete a 5K without stopping to walk. The Couch-to-5K Running Plan is one of the most popular training plans for runners who want to get off the couch and run 3.1 miles after just a couple months. If you're looking to run your first 5K, you can simply focus on the distance knowing that you will already be setting a PR (personal record) that day. As you build up to your second or third 5K, you can focus more on time. A 5K is long enough to challenge you, but not so far that you'll become discouraged. At 3.1 miles, a 5K is a very doable running distance. Note: Please consult your doctor before starting any exercise program. Running a 5K is a popular goal among runners because the distance is short enough that even beginner runners can be ready for it in a few months. 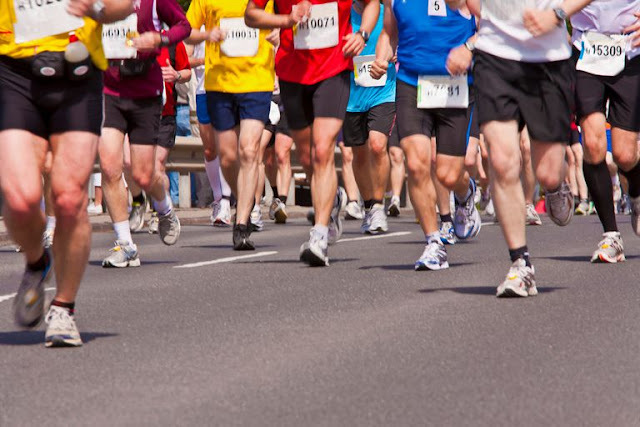 A 5K run is 5 kilometers long, which is the equivalent of 3.1 miles. Local 5K races are fairly easy to find, especially in the spring, summer, and fall, because it's a popular distance for charity races. Finishing times for 5K races span a very wide range because there's usually a mix of experienced, fast runners and beginner runners and walkers. The winner may run the 5K course in under 14 minutes, while some walkers may take over an hour to finish. Many runners consider a good time for a 5K to be anything under 25 minutes. To give you an idea of some possible finishing times, someone who runs an 8 minutes/mile pace would finish in 24:51; someone running a 10 minutes/mile would finish in 31:04; and someone doing a 12 minutes/mile pace would finish in 37:17. How Can I Estimate My 5K Finish Time? It's possible to get an estimate of how long it might take you to run a 5K using a previous race time and plugging it into a race time prediction calculator or looking at a race time prediction chart. Of course, most people doing their first 5K have never raced before. If that's the case, do a fitness assessment by running a mile at the fastest pace you can comfortably go. To use this calculator, just plug in your age, gender, and time/distance from a recent race or your mile fitness test. The calculator will show how you might perform in the 5K, as well as races at other distances. This calculator shows several different predictions, based on different formulas. So you get a range of predicted times, and you can see that it's not an exact science—just an estimate. Look at the average time prediction for the 5 km to see your estimated time. How Accurate Is a 5K Time Estimate? Keep in mind that the prediction is an estimate of what you might achieve, if you do the appropriate training for your 5K race and race to your potential. It doesn't mean that you'll automatically run that time because of your fitness level. In addition, the difficulty of the course, weather conditions, racing experience, and how you're feeling that day will also factor into your race time. How Can I Improve My 5K Time? If you've never followed a 5K training schedule before, one way to improve your 5K race time is to choose the right 5K training schedule for you and stick to it. If you've followed a 5K training schedule in the past, but still know that you haven't raced to your full potential, here are some training strategies to improve your 5K time. Simple strategies such as finishing fast for some of your runs can help you improve your stamina, mental strength, and confidence. Some beginner runners who've never raced before worry that they'll be the last person to finish a 5K race. (They're almost always wrong.) If you're curious where you might place (top 10 percent, back of the pack, etc.) in a particular 5K, look online at the results from last year's race. The number of finishers and the range of finishing times are probably similar from year to year. 0 Response to "How Long Take to Train 5K?"